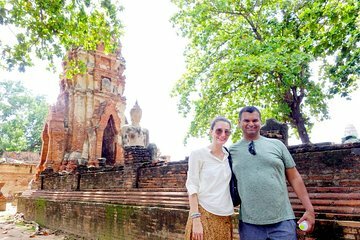 It can take over 4 hours to get to Ayutthaya from Bangkok by train, Save time and hassle, and book a tour with a private driver. In just over an hour, arrive at the historic city of Ayutthaya, founded in 1350. Stroll through the impressive ruins and see the ancient temples before cruising the majestic Chao Phraya river.